Photo by Albert Freeman, Office of War Information. October 1942. Hardwick, Vermont. 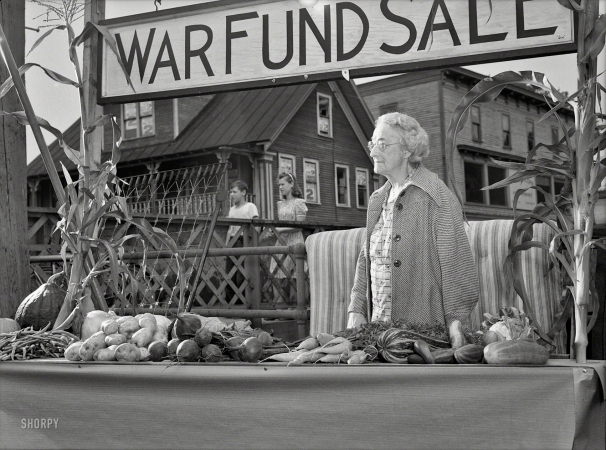 "Alice White at the Victory Store vegetable counter selling donated farm produce."